Clinically proven to increase hair growth, volume, thickness and softness with our exclusive dual complex of PentaPlex™ and TetraPlex™ that work with the natural hair growth cycle to restore hair health and reduce shedding. Made with an all-natural blend of premium hand picked botanical and nutraceutical Vitamin ingredients to deliver the ultimate hair perk. "Amazing product! Already seeing some new hair growth just after two weeks of starting it. My Hairdresser ever noticed! Thank you Aviva!!!" "I just want to say I found a hair vitamin for life. I found out about Aviva vitamins through a friend on Instagram, and I decided to give them a try. I used several vitamins including Hairfinity, and haven’t been impress by any of them. But when I tried Aviva, my new growth is unbelievable. My little baby hairs have grown out. I used to be relaxed but stopped and now I get a Japanese Hair Straighten treatment. I started taking vitamins in March and still taking them. My hair is growing like a weird fire. I take Aviva Hair Revitalizer and will start taking Aviva Advanced Hair Nutrition vitamins. I usually don’t give reviews, but these vitamins deserve one. My ultimate goal is to grow my hair to my tailbone, it’s currently bra strap. I know these vitamins will get me there. You have a customer for life. Thank you Aviva Hair for the growth. I can honestly say this is the most hair growth I’ve achieved in a long time." "AMAZING!!! I saw improvement-significant improvement-in less then a month." "Each time I start losing my hair, whether it be a stress factor, or just natural causes, this product has always made a believer out of me. In one month if taken as directed I could see new grown appear. There is a difference now and people are starting to tell me .. most important was my husband. I have tried several hair and nails vitamins and prenatal, bought some from well known TV shows and nothing made a difference. I wanted the hair and nails I had while I was pregnant ... but nothing.I don't like using strong chemicals as I was on chemo for 1 year which made all my hair fall out. It grew back in but lately I started losing hair and didn't want it to get any worse. Aviva Advanced worked for me. The only thing is you should probably keep taking it. I know it can become expensive but I figure I save money now by not having to buy other type products and be disappointed. I would recommend this to anyone facing this problem. I give it a super high recommendation because it has worked for me. My hair is thicker, stronger and full of volume and my nails are nice a strong where I can show them off with no artificial ones." 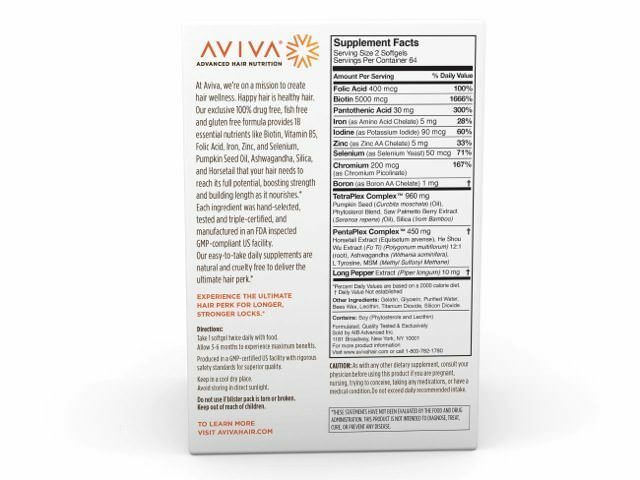 "Issues with my thyroid level fluctuations and the natural aging process have wreaked havoc with my hair and I started thining around my temples and losing lots of hair when I brush it , so I was excited to get an offer to review Aviva's Advanced Hair Nutrition, Growth and Repair Supplement. I take different prescribed medications so it is very important to me that this product is 100% drug free and contains 18 essential nutrients which benefit not only with my hair, but my overall health. They are also fish and gluten free so they can be used by anyone with those restrictions. The box contains a 1 month supply (64 sofgel capsules) and I like that they are packaged on foil cards so it is easier for me to remember if I took them each day. 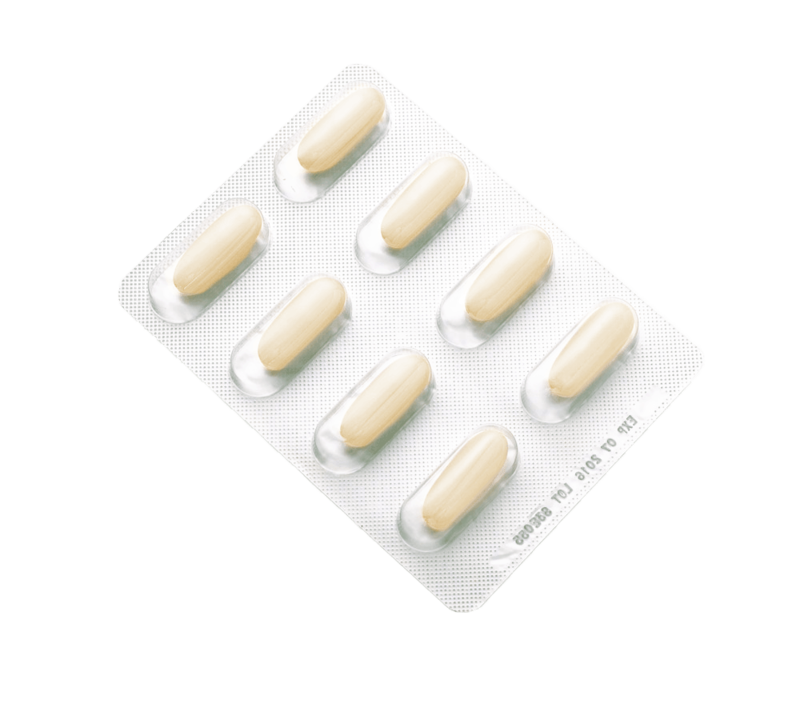 The softgels are easy to swallow and as someone with a sensitive stomach, I can honestly say I have not had any digestive issues since I started taking them. I have only been taking these for about a week and Aviva says it takes 3-6 months for maximum benefits, but I am already starting to see some improvement in the texture of my hair. I am finding my nails seem to be getting stronger as well. A very nice added benefit! Add to that the fact that they are a manufactured in the USA and an animal cruelty free product and I am expecting great results! 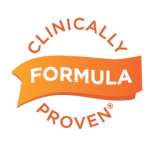 I have no doubt that 3 months from now my hair is going to be much healthier and thicker and that my overall health is going to be greatly improved as a result of taking this supplement on a daily basis. They may seem a bit pricey, but in all actuality, the cost is less than a salon treatment (the results of which only lasts a short time) and I fully believe the overall benefits are worth much more than the asking price of this product." "I have diabetes and notice since being diagnosed a few years ago, my hair had drastically thinned out. I have really fine hair that is down to my waist. I went to my hairdresser to find out what to do; she suggested a supplement since I wanted to keep my hair long. I started taking this supplement a couple weeks now and even though it says to take it for 3 or more months to see results, I have noticed some changes already. I have lots of new hair growth. That has made me so happy, but there is more. My nails usually are brittle and break off. However, since taking this supplement, they are growing more healthier and are stronger. I know that with continued use, I will continue to see more and more good results. They are easy to take and I have not had any digestion problems since taking them. I already have started recommending these to everyone." "This is an excellent product full of all the right things to help those with hair loss or thinning. There is nothing worse them taking a shower and when you wash your hair it comes out by the handful. Or being afraid to use the hair brush because it's already full of your hair. I am please with the combination of ingredients but especially the 5000 mcg of Biotin. I was already taking Biotin but it's hard to find such a high amount so finding it in this product at such a great dosage is wonderful. I've been taking this product for 2 weeks now and my hair loss is slowing down. I have high hopes of this product being the answer I needed. I received this product for the opportunity to examine and am leaving my honest review. I am recommending this to my friends and family." "This supplement has everything needed to aid hair growth. I already take biotin for my hair and nails. I discovered Biotin after being very ill for 6 months. my hair fell out and my nails were so soft they were actually painful. With biotin I saw huge hair growth and my nails are very hard now. This supplement goes beyond biotin with dual complex of pentaplex HGF and Tetra-HHL AND a very good dose of Biotin. While I just started this supplement and my hair is doing pretty good already, I have expectations of thicker, shinier, stronger hair due to the quality of the ingredients. 'GMO free' Certified. fast shipping, good customer service." "I have damaged hair, some kind of odd split hair and sometimes my ends get dry and brittle. I tried different product and most of them did not help me. I was skeptical about this product. Then I thought… y’know what.. why don’t I give it a try anyway.. it can’t hurt and it might be interesting to see if they have any effect on my hair. I was kindly sent a pack containing 64 tablets. I was taking it as directed - 2 pill per day. After 2 weeks there is a slightly noticeable difference. My hair is thicker. I will continue to take this supplement and hope my hair will healthy as I had it years ago." inexpensive compared to the amount of separate treatments in a salon. I have had NO reactions at all from this. I do find the pill is a little larger then most but working out just fine. I do recommend this Aviva Advanced Hair Nutrition. I based this review on my honest opinion." 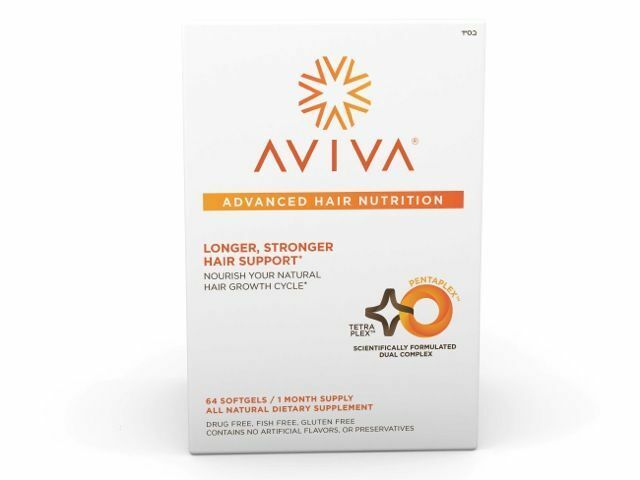 "I am on my first month of taking Aviva advanced Hair nutrition, growth, and repair supplement. So far,"
arrived quickly and was packed really well"
"Been taking these a couple weeks now and from looks of it my hair has grown a bit more then usual which is great cause i fried my hair going blonde and chopped most off and i really dislike short hair but my hair doesn't grow like it used to when i was younger. These are not too big and go down very easy. I've had no bad side effects from these and i love they are a USA made product as well. i am going to continue use of this product and hopefully in no time ill have a long full healthy head of hair again." "This is an awesome product. I originally got it for my father because his hair was thinning and he was starting to lose his hair. After using this product for about 2-3 weeks it helped with the hair loss and also helped making his hair stronger. No nasty side effects to it like other options he has tried. He really loves this product and would recommend it to anyone having the same issues as him." "Started taking and find it convenient to take and going to watch my hair come back to the fullness it once was. I have already noticed that my shedding of my hair is less." "After having been treated for thyroid issue, my hair began to fall out. Started using Aviva and within 6 weeks my hair was growing back and is healthier than it was before. My fingernails and Eyelashes also seem longer thicker and healthier than ever as well. This has made a huge difference that even my stylist at the salon has noticed so I know it isn't all in my head. This product really does work." "My hair is thicker in last month because it's not breaking off like it did before I stated taking Aviva. I usually use extra nourishment creams on my hair to keep breakage down to a minimum. I think I was lacking some nutrients because now since I've been taking these for a month I've noticed a change in that it's thicker than before. I've always wanted longer hair and now I can have that. I recommend this to my friends and family." "I have been taking these pill for about a month now and i have noticed my hair seems to be getting a little thinker and stronger. My hair would break off a lot and since I been taking these pills my hair brush does full up with hair as much now. Great Product ."